According to the release, drilling demonstrates that Bx1 extends from surface to 439m depth and is open at depth, highlighting the vertical extent these tourmaline breccia pipe targets potentially offer. Chakana Copper (TSXV:PERU) has announced assays from four additional core holes into breccia pipe 1 (Bx1) at its Soledad copper-gold-silver project in central Peru. According to the release, drilling demonstrates that Bx1 extends from surface to 439m depth and is open at depth, highlighting the vertical extent these tourmaline breccia pipe targets potentially offer. Drill hole SDH18-071 cuts this vertical extent, returning 0.69 percent copper, 1.45 grams per tonne (g/t) gold and 50.5 g/t silver (2.07 percent copper equivalent; 3.16 g/t gold equivalent). 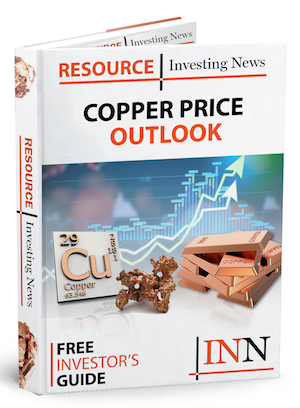 Click here to read the full Chakana Copper (TSXV:PERU) press release.